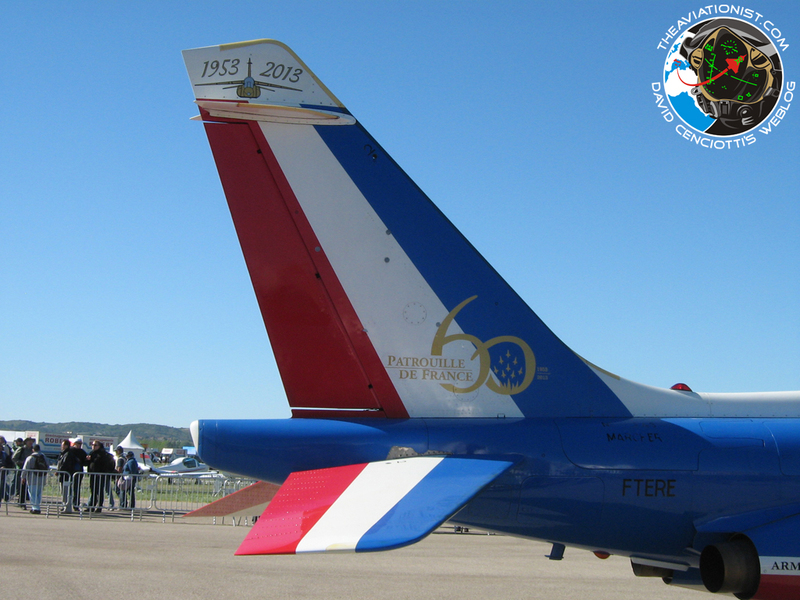 The Patrouille de France celebrated its 60th anniversary on May 26 with a beautiful air show at the Base Aèrienne 701 Salon-de-Provence. 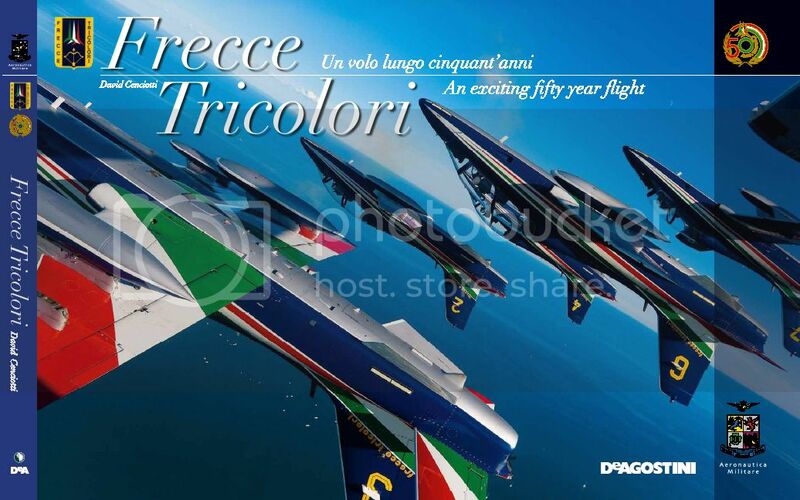 The air show was attended by some of the most important European aerobatic display teams including the Frecce Tricolori, the Red Arrows, the Patrouille Suisse, the Patrulla Águila, the Team Iskry and the Diables Rouges. 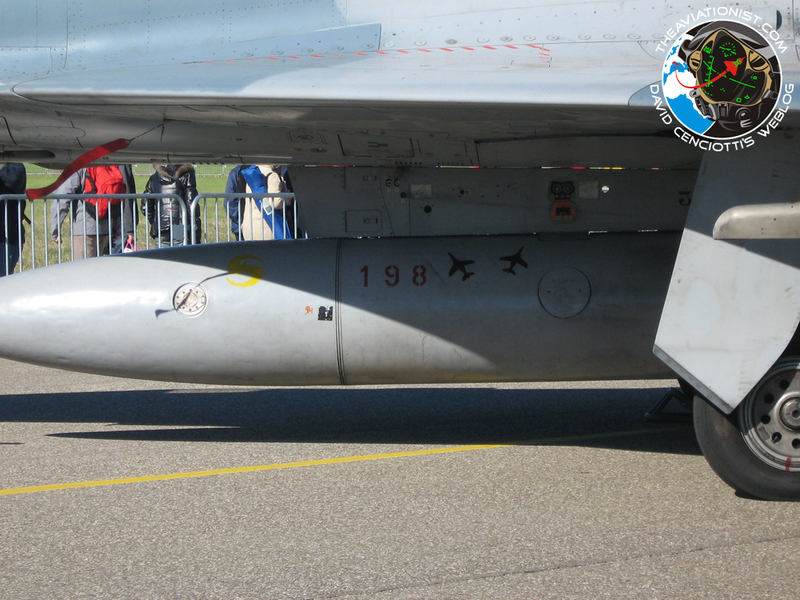 The static display featured some interesting French Air Force hardware such as special colors aircraft and some kill markings painted in unusual way on Mirage 2000 auxiliary fuel tank. As the imagesin this post show to celebrate the anniversary of the Patrouille de France one of its Alpha Jet its tail adorned with a big 60, as the number of seasons during which the team performed across the world; the Patrouille de France recalled this very important goal also during its display when its own pilots depicted a big 60 in the sky. But even more interesting was the French Air Force Mirage F1 CR in a special color scheme to celebrate the 100 years of the escadrille BR 11 “Cocotte” from Base Aèrienne 118 Mont-de-Marsan. 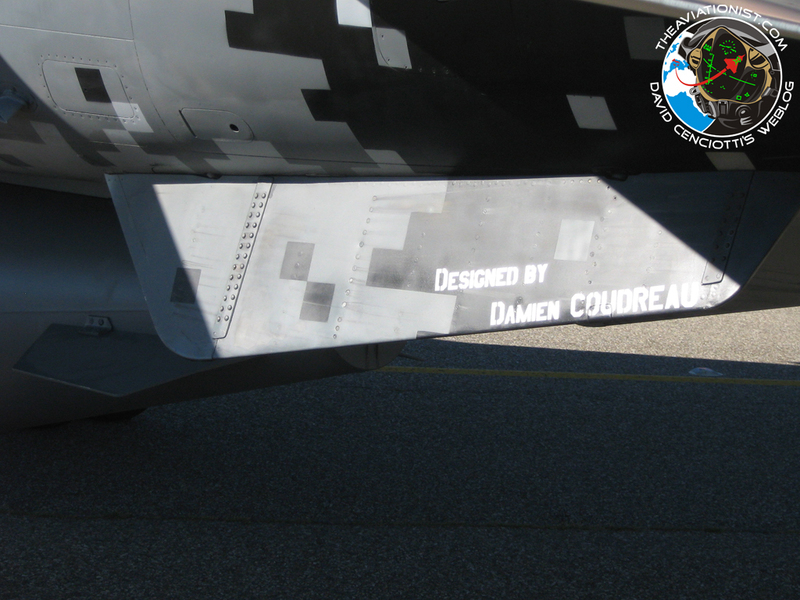 This aircraft, which also celebrated the 30 years of the recce F1 with the squadron, had the name of its author, Damien Coudreau, on its ventral fins. Coudreau is from Mont-de-Marsan and really did a wonderful job designing this special color. 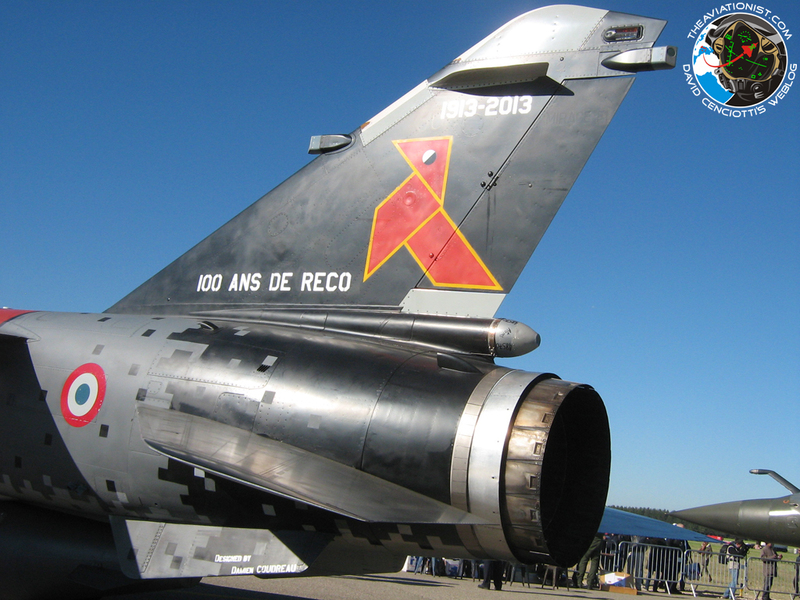 In the last photograph, another fighter, a Mirage 2000 sported some kill markings on its ventral auxiliary fuel tank. Even if we didn’t know the Rules Of Engagement (ROE) and the training scenario of the dissimilar air combat training, the picture clearly shows two Alpha Jets downed by the Mirage 2000. What’s this weird thing in the desert near Tonopah, Nevada?